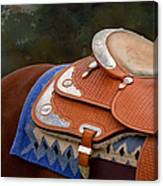 There are no comments for Navajo Silver And Basketweave. Click here to post the first comment. 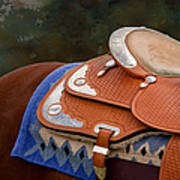 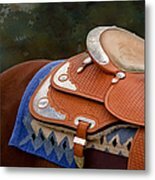 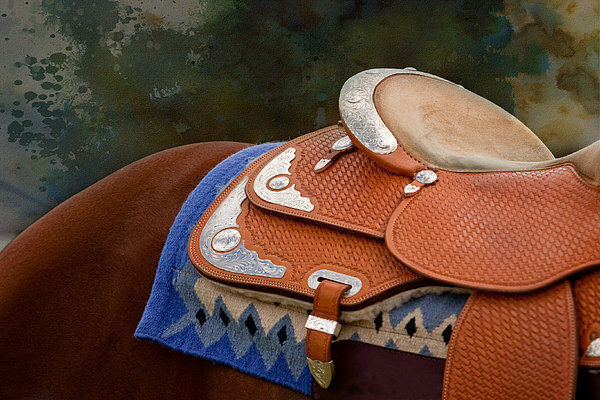 Almost abstract equine photography detailing the smooth flowing lines of silver accented western saddle with basketweave leather tooling and a stunning blue navajo saddle blanket.